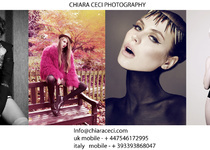 I am highly talented and innovative photographer and retoucher with strong creative flair. I am familiar with multiple photographic formats and I have a very strong knowledge...Read moreI am highly talented and innovative photographer and retoucher with strong creative flair. I am familiar with multiple photographic formats and I have a very strong knowledge in editing and retouching process. I have a solid background in photography and arts in general. As former model I am knowledgeable in the area of fashion and style and I can conceptualize new and exciting ideas as needed. As a freelance photographer I have completed assignments in portraiture, editorials and commercial photography. I am able to work with clients to determine needs and requirements, and to provide the highest quality work at all times. I am able to display my creative abilities in my photographic and editing activities. I am familiar with photo manipulation of digital works, using photoshop and related computer programs. Description: Part time Photographer in house.